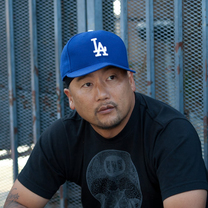 Born in Seoul, Korea and raised in Los Angeles, California, Roy Choi is a graduate of the Culinary Institute of America and later worked at the internationally acclaimed Le Bernardin. 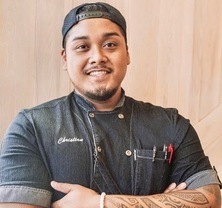 He resides in Los Angeles where he is the co-owner, co-founder, and chef of Kogi BBQ, Chego!, A-Frame, Commissary, and LocoL. "I still think this is the most important and underestimated food invention in the modern world. The Champpong-Jjajang bowl for lunch. Ha"
"West Oaaaakland. 3446 Market Street. 8-8 Daily. Boom. #LocoLBakery"
"Tons of Bunzz! LocoL Bakery, West Oakland opens Friday. 8-8pm. 3446 Market Street. #Oakland"
"I could eat 40 of these in one sitting. Juicy morsels of pork and cartilage melt away in these little bags of goodness." 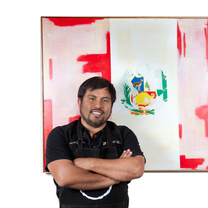 "This is located on West Pico, in a part of LA that makes me feel like I'm at home. The people there are always so nice to me and then come the goods: a consomme of simmered goat, chilies and tomato with handmade tortillas. Time stops." "I know, I know. What the heck am I doing at Joan's on Third? But this sandwich—scrambled eggs, bacon and Monterey jack cheese on toasted country bread—is amazing and makes me forget all the pretty people around me." "Make sure you pop those tomatoes and mix it all together. The hint of the Filipino Bagoong adds an extra flavor profile that changes the game!" "chaufa paella // peruvian fried rice paella-style, pancetta, la chang sausage, bagoong, prawns photo: @#rosalinela . . . . #mariscos"
"chancay con leche // peruvian cake goat’s milk manjar blanco, coconut milk, maracuya guava frozen yogurt, torched meringue, harry’s berries strawberries 🍓 photo: @#rosalinela . . . . #passionfruit"
"camaron a la plancha // blue prawns, yuzu kosho, charred lime photo: @#rosalinela . . . . #camarones"
"Solterito // lima beans salad, avocado, blistered cabernet tomatoes, pickled onions, feta, botija olive, choclo corn photo: @#rosalinela . . . . #peruano"